If you're a regular follower of the blog, you know that I graduated as a history teacher. I always loved ancient Egypt -- I could go on for hours about all the myths, legends and symbolism. When I was in high school, I gave a presentation about King Tut during history class - and accidentally switching up Howard Carter and Howard Hughes because I had seen 'The Aviator' the night before, but that's a total different story - and it's still is a dream of mine to go to Egypt some day (and to discover a secret tomb myself). 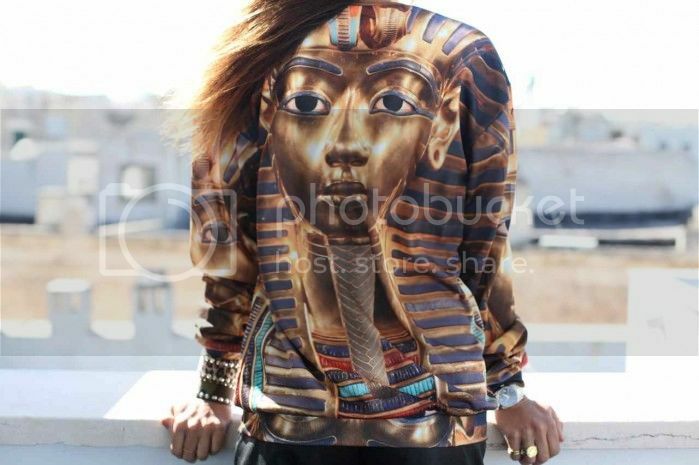 I guess it's needless to say that I developed a huge, major crush on this pharaoh printed shirt by Mr. Gugu & Miss Go. It's over the top, totally in your face, on the edge of kitsch and I'm loving it! I'm already imagining this shirt with a pair of skinny jeans and boots or a super girly skirt and heels. You can also check out the T-shirt version here, which I'm digging even more. All I have to do now is to try to get my hands on my mom's credit card. Wish me luck! So, what do you think? I'm dying to here your opinions on this one! You can shop the T-shirt version on ASOS and both versions on their own website here and here (way cheaper!). Not into pharaoh prints? Check out the rest of their collection, they have the best prints (Hamburgers! Pandas! Puppies! 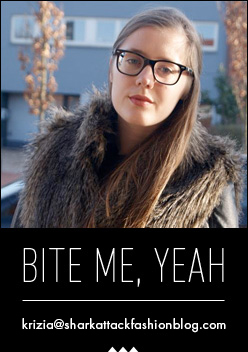 ), I swear! I've been eyeing this from a T-Shirt company I saw on my Instagram as a fellow Ancient History buff I love it, and I'd wear it granted if it wasn't hot as Hades in DC right now, but I'm all in for the Fall. Such a cool top! very unique and inspiring! beautiful top <3 so funky! !